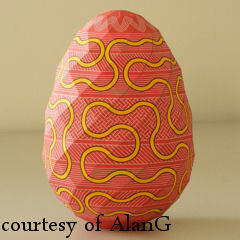 AlanG kindly provided this photo of his build of this year's Pysanka Egg. Your donations to support this site are greatly appreciated.Thank you! Copyright ©2003, 2004, 2005, 2006, 2007, 2008, 2009, 2010 Steven Marshall, all rights reserved.